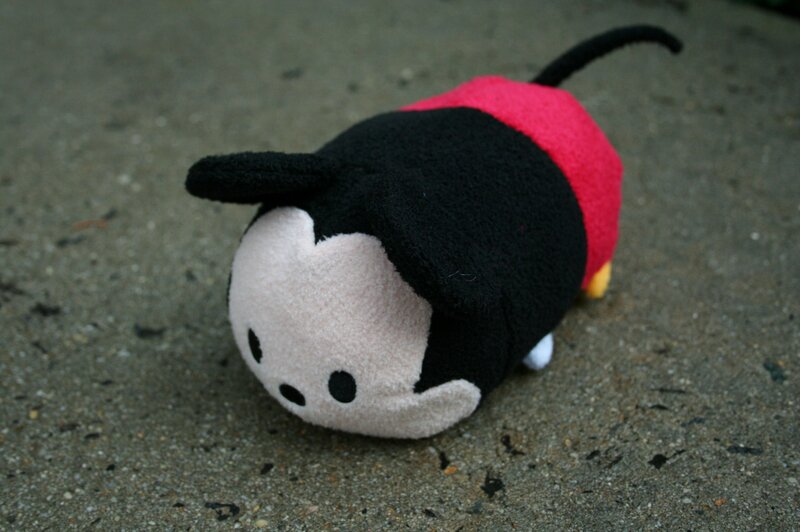 Are you one of the many Disney fans who are addicted to tsum tsums? Or have you not even heard of them? (If that’s the case, be sure to check out my post on an Introduction to Tsum Tsums!). These adorable tiny stuffed Disney characters are perfectly stackable and too cute for words. It’s also an app game, but it’s the little plushes that are really popular right now. 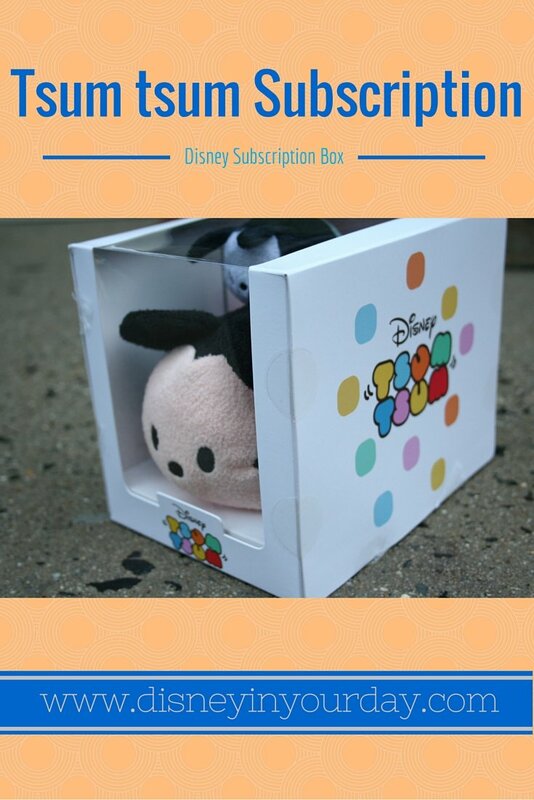 So popular, in fact, that Disney has even come out with their own tsum tsum subscription box. For $24.95 a month you get a box delivered to your door. The box will contain one mini sized tsum tsum and one small tsum tsum. The mini one will be an exclusive one to the box, meaning that you won’t be able to buy it anywhere else. The small one may be another character that is already available in tsum tsum form, but the small size is not available outside of the subscription so that also makes it an exclusive item. The first box went out in early November, and I received mine on Tuesday. For this one they stuck with very classic Disney characters. 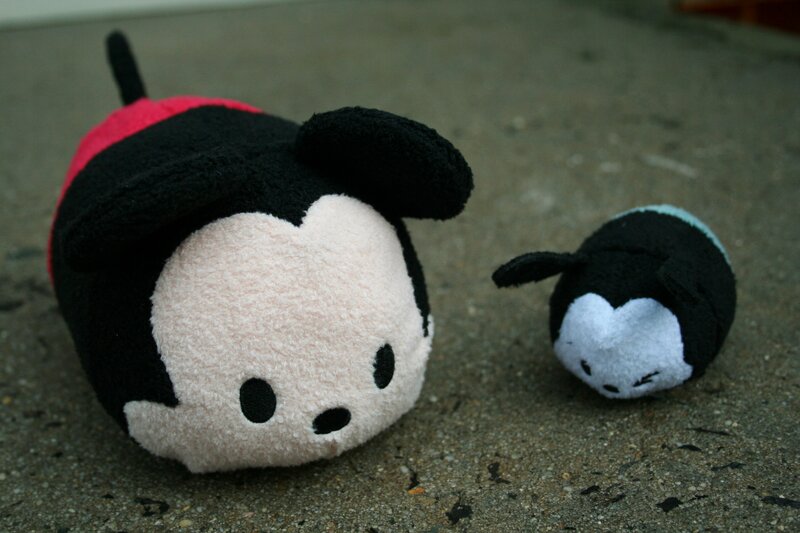 The mini tsum tsum is a winking Oswald, and the small is Mickey Mouse. I really like Oswald. He’s adorable, and as stated before he’s not available elsewhere. He’s a great addition to my collection! And Mickey is cute. The size isn’t too big, though if I get a bunch of the small ones I don’t know where I’ll put them all! So the question is, is this subscription worth it if you like tsum tsums? In terms of the money value, I do think it’s a little pricey for what you get. A mini tsum tsum is $4.95, and while the small size doesn’t exist a medium is $12.95 so we can assume it would be less than that. The value of the box is about $15 in money (plus shipping is included, and Disney Store usually charges $5 for shipping under $25 so you’re at about a $20 value). However, the items you get are exclusive. 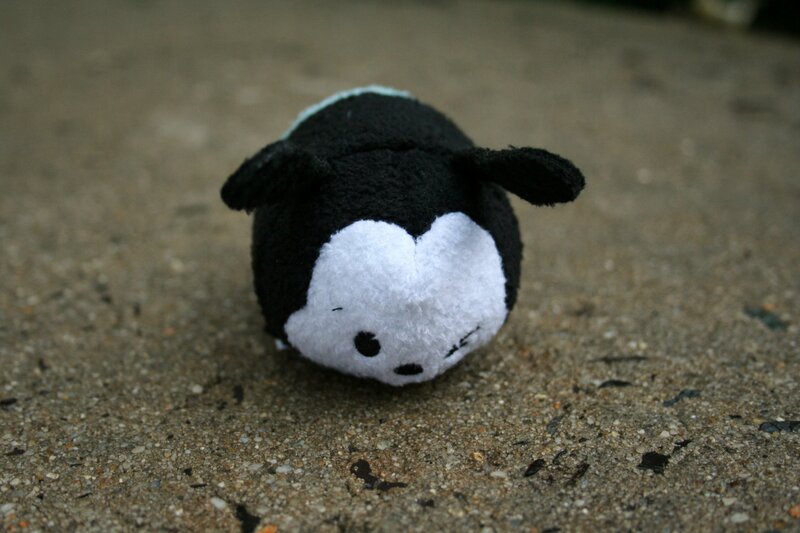 You can’t get this Oswald anywhere else or a Mickey this size, and to me that makes it worth it. As long as Disney doesn’t start selling these “exclusive” items outside of the box, I think it’s a good deal. 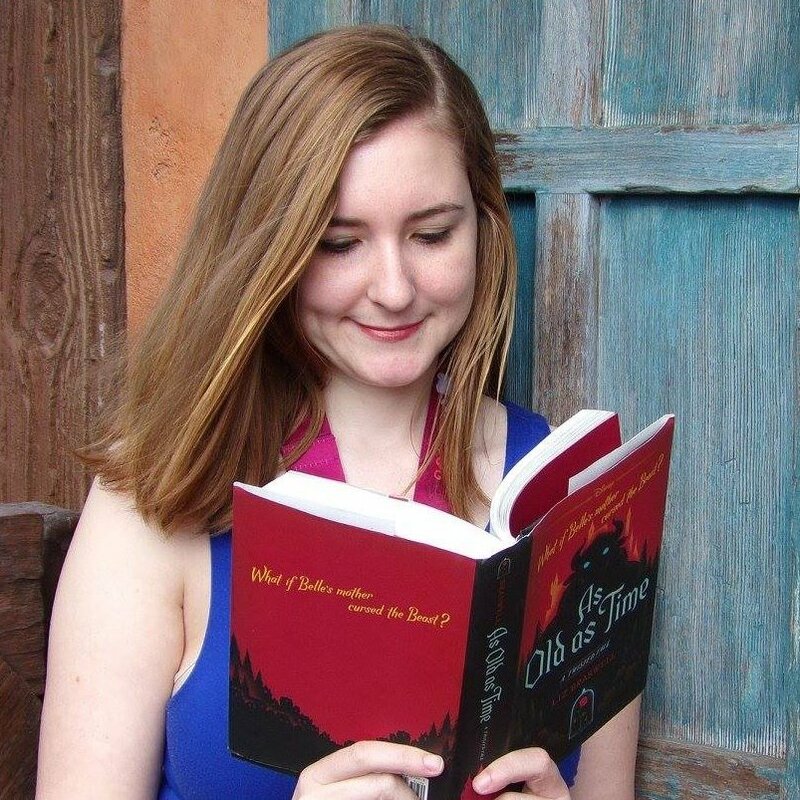 I will keep my subscription for at least a couple of months and see how it goes – so check back here for updates each month! Are you into the tsum tsum craze? Would you be interested in this tsum tsum subscription box? I do think they’re adorable! I’m unsure of how I feel about tsum tsum yet! They’re cute, but I’m not sure if I particularly like them! I love the Oswald you focused on! I know the feeling! The itty bittys from Hallmark are really cute, I’ve avoided buying them for precisely that reason. I’ve seen these and they are adorable. I know my oldest dd would love to have these arrive in the mail. I bet she would love love them! That is the only way I am familiar with them. If she wasn’t in bed she would like the pictures you posted. Aww, I bet she would love them! They really are great collectibles because they’re good for kids too! 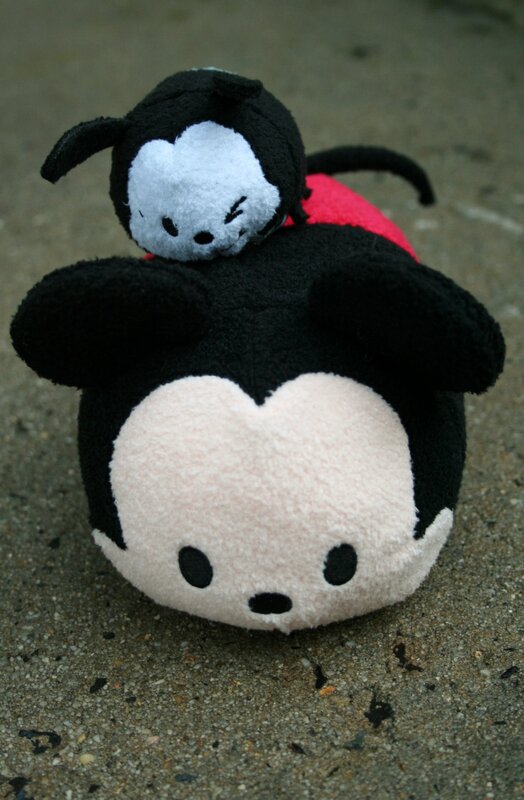 never heard of tsum tsum but those are adorable! They are so cute! Watch out or you’ll get addicted!